BAFX Bluetooth OBD2 Scanner for Android is the best diagnostic scanner for Android which is able to clear DTCs in addition to reading them. 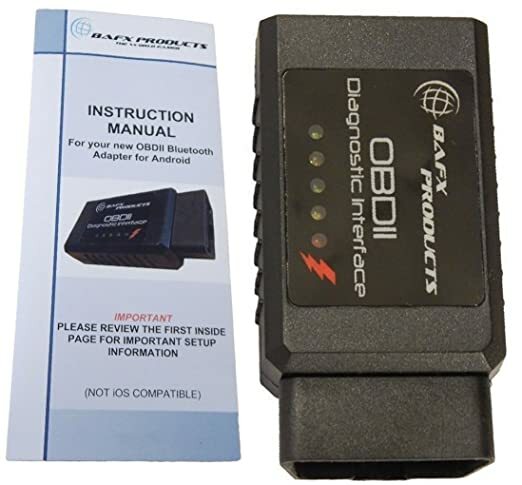 Work on all OBD2 vehicles model 1996 and newer, include J1850 and CAN protocols, BAFX Products 34t5 is the best bluetooth OBDII scanner for Android. 4 Who is BAFX Built for? The days of OBD2 readers that had to be connected to your car’s OBD port are long gone. These days, you don’t need cables to diagnose your car. Your phone’s Bluetooth connection can help you get reports about your vehicle’s error codes and give you suggestions on how to rectify them. 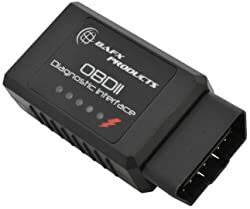 Some of the features the BAFX Bluetooth OBD2 Scanner has to offer include the fact that it can clear diagnostic codes (DTC) in addition to reading them. Also, other than the Android platform, the scanner can also work with Windows PCs. With its ability to work on all vehicles in the U.S, BAFX Bluetooth Scanner is appropriate for mechanics thanks to its ability to identify several issues. BAFX Bluetooth Scanner is appropriate for mechanics. The scanner can also detect and report engine data such as RPM in addition to identifying other critical information about your vehicle. The BAFX Bluetooth Scanner for Android is able to transmit error codes to your phone. Additionally, the gadget can generate manufacturer-related error codes. The unique sensor on this scanner gives it the ability to identify any diagnostic issues on any OBD2 compliant vehicle in the U.S. In total, this scanner can display more than 3,000 error codes. This should be quite a relief and a considerable upgrade from the vague diagnostic capabilities of the check engine light. The information about the issues with your car is transmitted directly to your Android phone. All you need is an appropriate third party diagnostics app from Google’s Play Store. Work smoothly with third-party apps. Compatible with many kinds of vehicles. Provides real-time sensor information and transmits it to your phone using Bluetooth. Get a demo software with the scanner when making their purchase. Buyers outside the US might face compatibility issues. Good for reading and clearing error codes, CEL, sensors. Bottom Line Bafx products is suitable for beginners and average car owners. 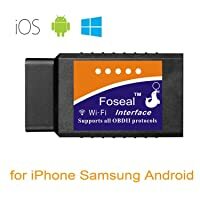 Foseal Wifi Car scanner is great for beginners to turn off CEL and do simple diagnosis. 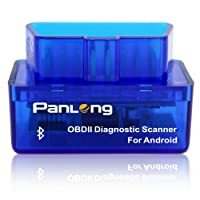 Panlong Bluetooth scanner is another competitor of Bafx. Who is BAFX Built for? In general, the BAFX Bluetooth scanner is built for users who want a diagnostics aid that will deliver good performance. In particular, this OBD2 scanner is appropriate for mechanics thanks to its ability to identify several issues. It is also suited to average car users and beginners as it offers an easy setup and user experience. The BAFX scanner offers professional grade car diagnostics and a user-friendly use experience that should make it a handy accessory for any car owner. With its wide ability to work on all vehicles in the U.S., and the capacity to go over and beyond in order to give users an enhanced user experience by supporting protocols which are often ignored by scanners in its class, BAFX Bluetooth OBD2 scanner is value for money. So, take one, try and you will find how amazing BAFX can offer you then!! You’re a car enthisuast and want to find great auto blogs. This is the list of Top 35 auto blogs that you, car enthusiasts, should visit in 2019. Your VAG engine light turns on? You do not have to panic because Xtool Vag401 Audi Scan Tool can help you to solve your car issues in minutes.